The successor restaurant to Finn’s Grill located at East Grove Street on the site now occupied by the Boston Tavern was the Zombie, established in 1941 and likely named for the cocktail invented in 1934 by Donn Beach. 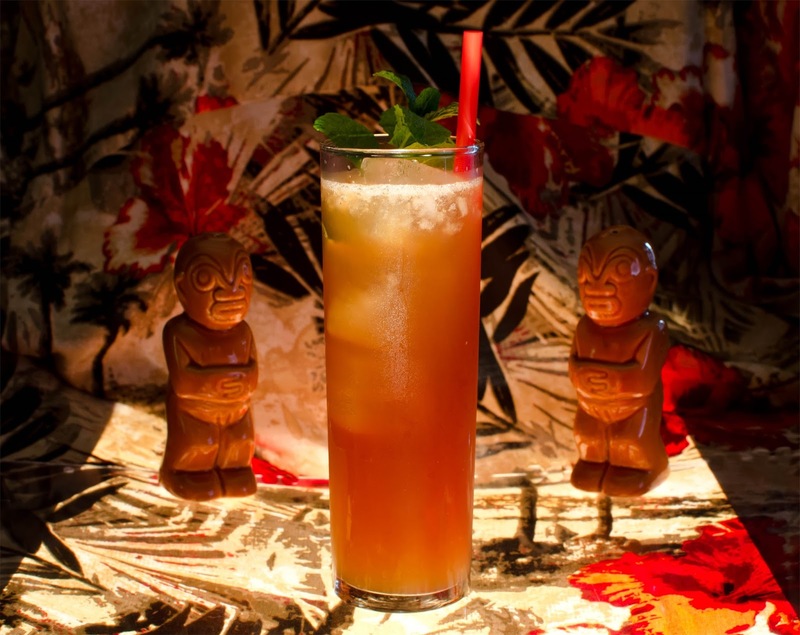 Following 1939, “tiki culture” became popularized through the Golden Gate International Exposition and the New York World’s Fair, and exotic drinks such as zombies, mai tais and scorpions became the rage. 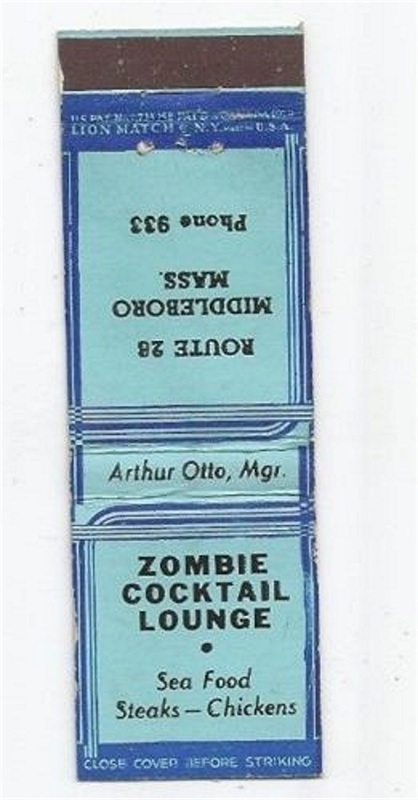 The zombie which originally included various rums, fruit juice, cinnamon syrup and other ingredients featured in popular culture, most notably Fats Waller’s “Abercrombie Had a Zombie” (1941) which recounted the effects of the potent drink on a normally law-abiding man. Then Abercrombie had a zombie. Then Abercrombie had a zombie, yes, yes. Or was it two or was it three or four or five or six? 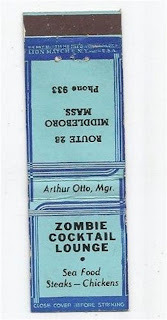 The Zombie operated for nearly a decade until fall 1950 when it remade itself into a new restaurant known as the Half-Way House. 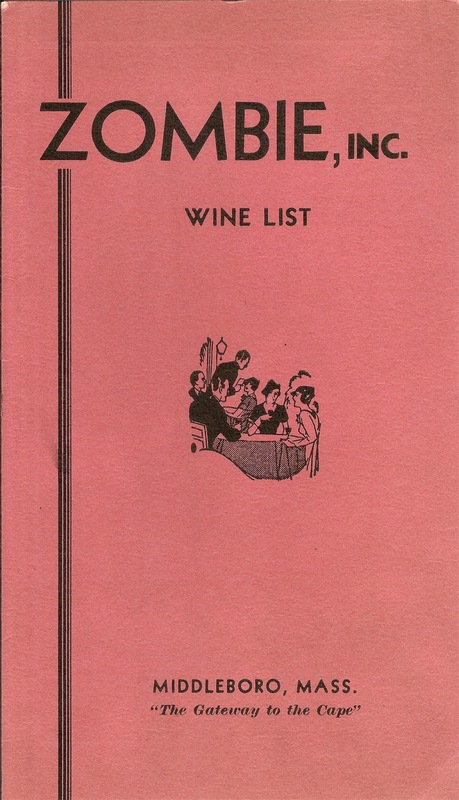 With the increase of post-war traffic bound for the Cape, the restaurant sought to capitalize on its location mid-way between Boston and the Cape resorts. 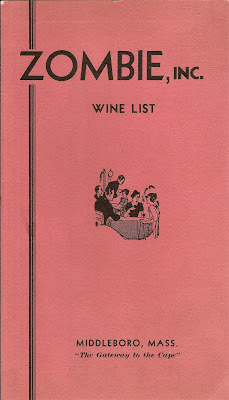 Following a May 1954 fire, the Half-Way House was sold to Eugene Starvish who established Eugene’s restaurant.